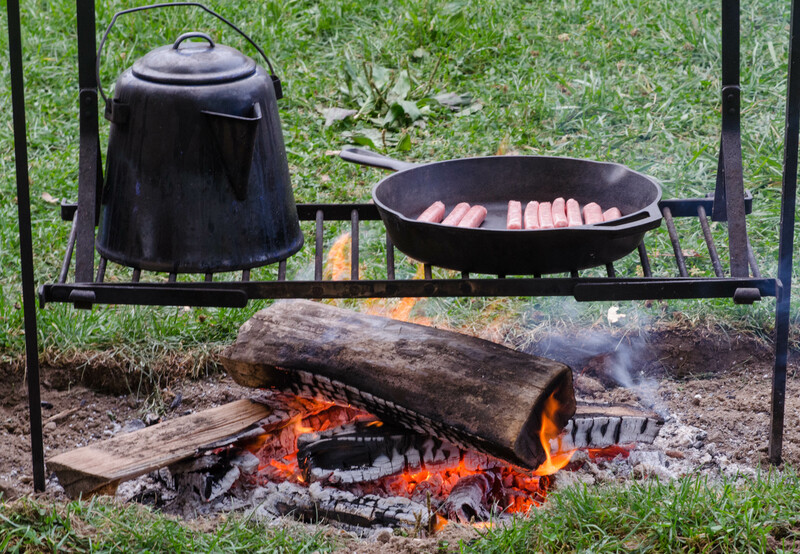 Civil War soldiers often had little to eat, especially soldiers of the Confederacy. 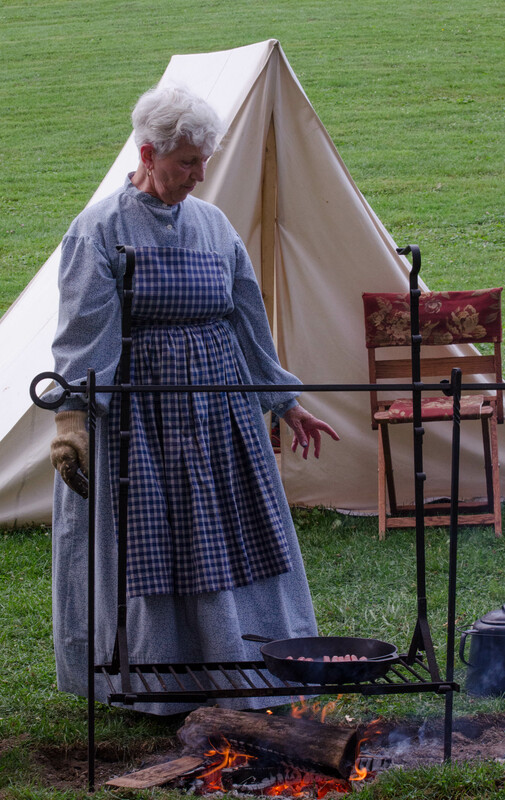 Efforts were made early in the war by the Union to have a cook (Chef Major) and assistant for every 100 soldiers. 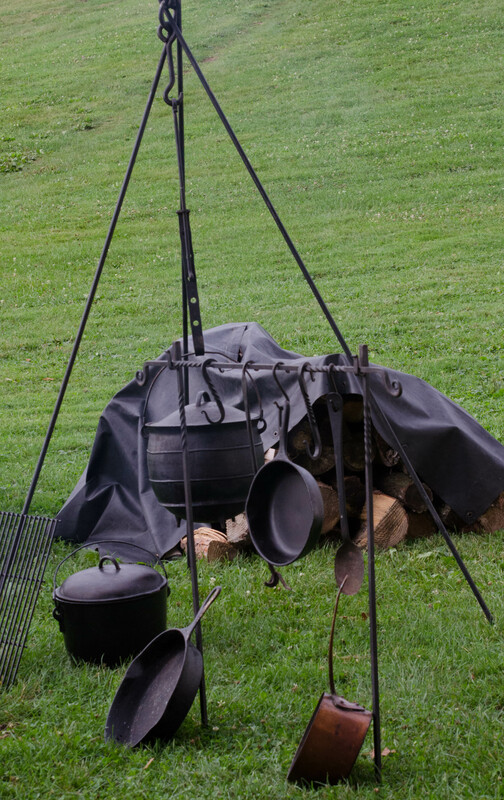 These cooks – where they existed – would have traveled in a wagon with their provisions, tent, and cookware. 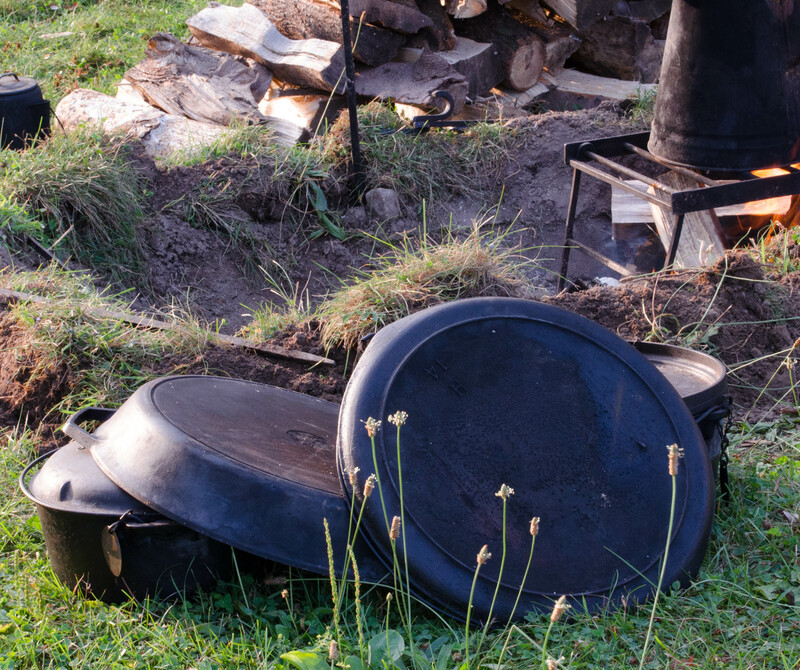 Cooking was usually done by these cooks with cast iron cookware because of its durability, cost, and even heating. Soldiers would carry a tin (for its light weight) mess kit of a plate, cup, and eating utensils. 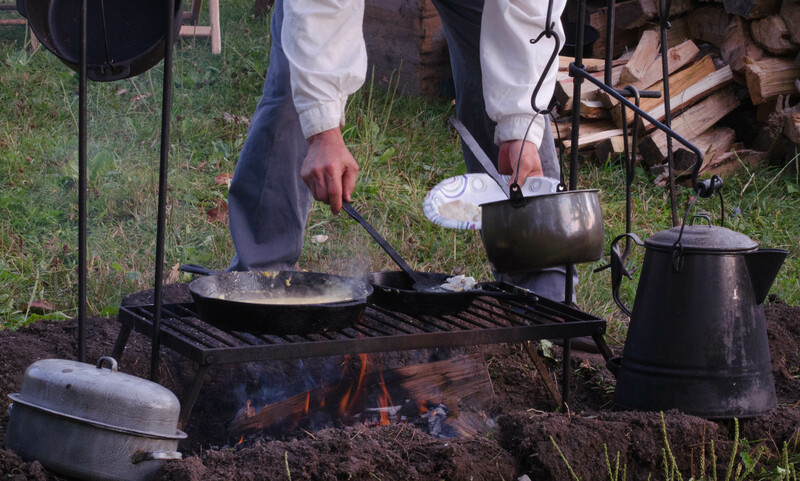 The reenactment soldiers used era cookware, but definitely ate better than Civil War soldiers. 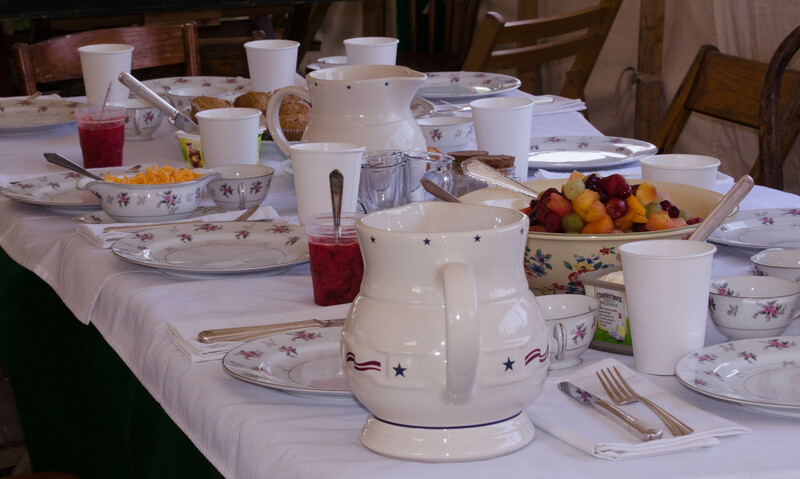 At the reenactment there was breakfast for the generals of both armies and their spouses. As you can see from the set table, this was much more elaborate than the usual fireside breakfast. The zucchini bread was tasty and still warm (the cook gave me a sample 🙂 ). Anyone hungry?